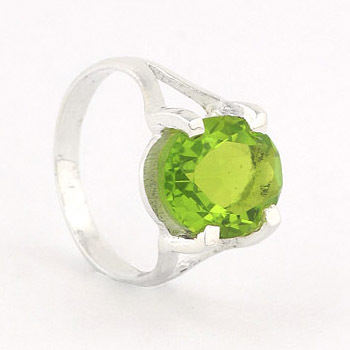 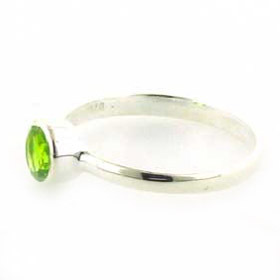 Rectangular peridot ring in sterling silver. 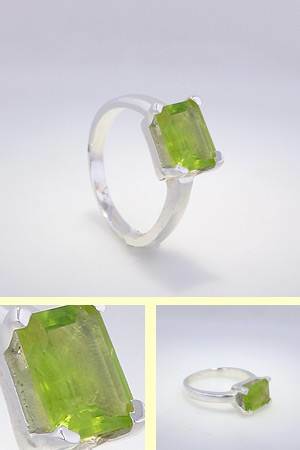 This ring has a large natural peridot gemstone which is emerald cut. 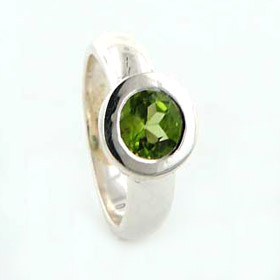 Natural inclusions can be seen inside the stone. 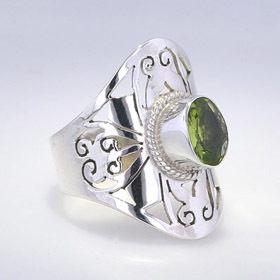 An elegant classic design, this peridot is claw set in sterling silver and mounted onto a plain silver band. 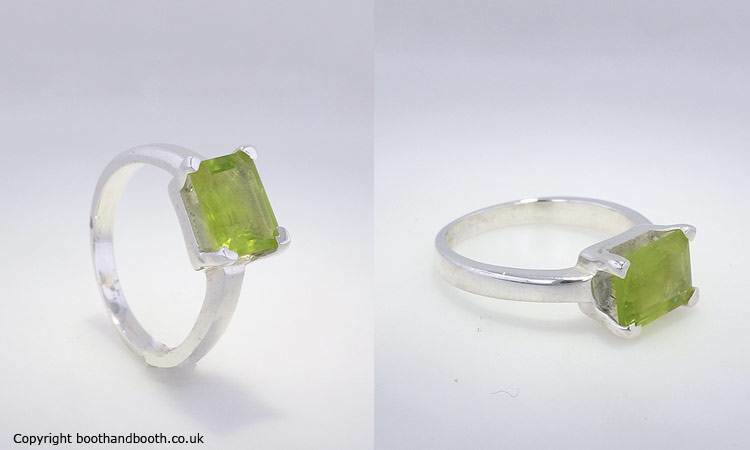 See our collection of peridot earrings to make a set.